When done legally, porting is a convenient way for someone to keep their phone number while changing service providers. But more and more thieves are taking advantage of this process to steal people's phones without the devices ever leaving the owner's side. Ed Hyden of Florida was a victim of a thief's phone porting. On his birthday, he got no calls from his family, which in retrospect should have been a giant red flag. But it took him 36 hours to pinpoint the problem – he no longer controlled his own phone, but he had no idea why. Hyden discovered he was the victim of fraud. Someone had called the phone company, posing as him, and switched his phone number to a different phone. All the thief needed was Hyden’s name, phone number and the last four digits of his Social Security number -- "all of which is not terribly hard to get,” according to cybersecurity expert Alan E. Brill of Kroll Inc. 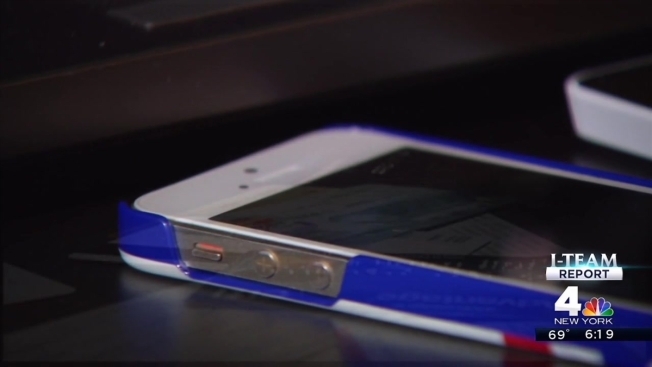 Phone porting scams have been popular in Australia but are in their infancy in the United States, said Brill. The FCC said they have received about 100 complaints nationwide. "In today's world, our identity isn't simply a picture or a fingerprint, it could be your phone. If someone gets a hold of it, they control your identity," he said. Which is what happened to Hyden. He said within a matter of hours, his stolen identity and phone were used to charge $10,000 to his American Express card. And when the company called to verify it was him making the big purchase, the call went straight to the thief, because his number had already been ported. "Knowing that someone can just come in and transfer that service to take anything they want, that’s kind of terrifying," said Hyden. Verizon Wireless, Hyden's cellphone company, said it's "working to stay one step ahead of the criminals," but "the trick is balancing security with customer service." Brill says there's no foolproof way to prevent porting scams but he suggests creating an extra security code for phone transactions and to practice vigilance. Anyone who thinks they're being targeted should call their phone company and then check their bank accounts and credit card statements. Experts also urge potential victims to report their suspicions to the FCC by calling 888-CALL-FCC or filling out a complaint online. Authorities believe porting scams are largely underreported because people are not sure who to contact.